The elegant Santa Barbara Beach & Golf Resort sits on 2,000 acres of historical plantation land. It’s bordered by one of the most wonderful organizations on the island – Fundashon Amigunan di Cristo. 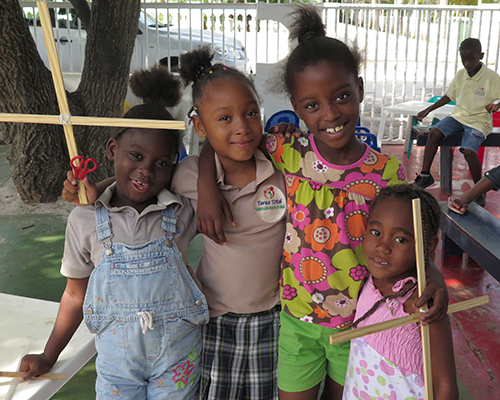 Fundashon Amigunan di Cristo is an afterschool project for children from low-income or impoverished homes to gather and find fun, love and support. It began in May 1999 when Cesar and Tanta Emma purchased a home at Seru Grandi in the area of the island called Fuik. The pair noticed that there were many children on the street with, seemingly, nothing to do and no one taking care of them. In March of 2000, they started a weekly children’s club at the new home. Eventually, the weekly children’s club evolved into a children’s choir, baseball team, arts and crafts station, among many other activities. A second-hand store was started where clothes, shoes, furniture, etc. could be purchased for very low prices. A food bank was started to help feed the neediest in the area. What began with 12 children, grew into 60, and today is comprised of over 120 children. At first, everything was paid for out of pocket, but as more children joined and more programs were started, more funding was needed. Assistance from the food bank was given, and as well as some government support for the basic needs, yet operations would not be possible without generous donations and gifts from individuals and organizations. Santa Barbara Beach & Golf Resort are proud supporters of Fundashon Amigunan di Cristo and the Pack for a Purpose program. 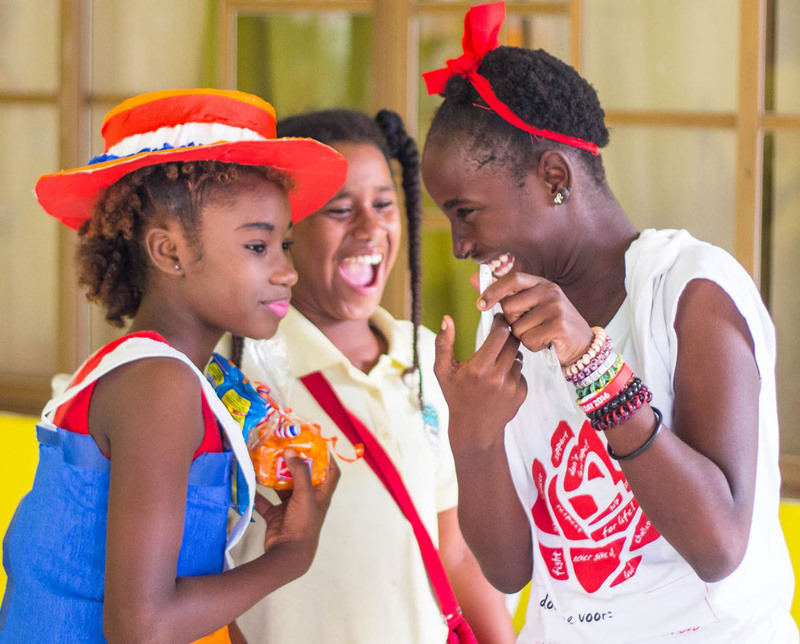 Pack for a Purpose is a program that inspires travelers to take greatly needed supplies to amazing institutions such as Fundashon, which would often be expensive on the island. Simply through your stay at Santa Barbara Beach & Golf Resort, you are inadvertently helping us to continue to support Fundashon Amigunan di Cristo and Pack for a Purpose. A few years ago Rebecca Rothney, the Founder of Pack for a Purpose, stayed with us here at Santa Barbara Beach & Golf Resort on Curacao Island. We had just become the first participant on Curacao, and Rebecca and her husband came to visit and were the first couple to take supplies for our projects. 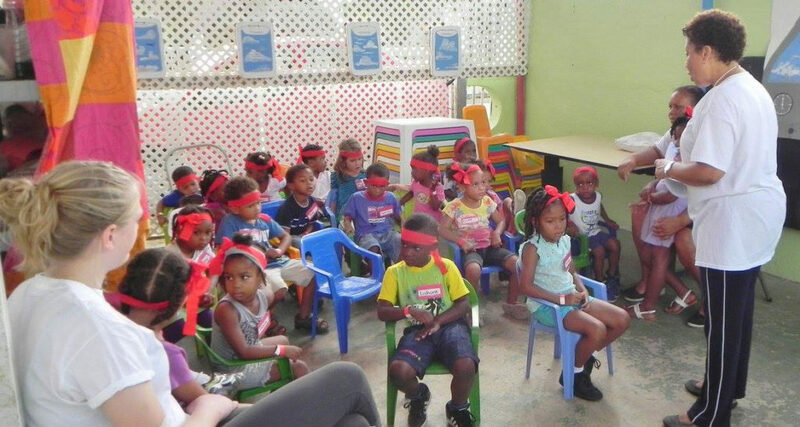 They had the opportunity to visit our projects, spend some volunteer time with Emma and her husband, and see firsthand the positive impact the projects make in our community. Since we became a part of the program, we have gathered many kilos of goods for the many families in need. We support the local soccer teams, Siloam and Fundashon Amigunan di Cristo. Not only with goods brought in from our guests but also coworkers bring second hand goods and clothes to be brought to the organizations. We have changed almost all our mattresses at the resort and the used mattresses were also divided under the families in need. A few months ago we donated used bikes and the kids were thrilled. We would like to take this opportunity to heartily thank all of our guests for their visits, and to thank all of our Pack for a Purpose donors for their kind and thoughtful donations.